The name tells only half the story. Heat pumps are a total home comfort solution providing efficient heating and cooling. They are designed to perfectly cool your Lebanon – Wilson County, Tennessee home in the summer and perfectly heat it in the winter. 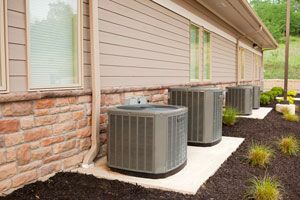 Unlike traditional heaters and air conditioners, heat pumps operate through the principle of heat transfer. This means that heat pumps capture heat and move it from warmer areas to cooler areas. A heat pump installed by Bentley’s Air Conditioning cools your home in the summer by capturing heat inside the house and releasing it outdoors. In the winter, it heats your home using heat captured from the air outside. Heat pumps are one of the most efficient home cooling and heating solutions available in the Lebanon, Tennessee area. They produce outstanding energy savings in the long run, allowing you to recoup your initial investment. Providing uniform heating and cooling within the home, heat pumps eliminate the frequent temperature fluctuations common with traditional air conditioners. A heat pump is also more “green” than most furnaces, since they do not rely on combustion and produce far less environmental pollution. Trane heat pumps are some of the most advanced pieces of home comfort equipment ever created. At the heart of every unit is a Climatuff® compressor, known throughout the industry for its incredible reliability and performance. It works at a high level of energy efficiency to fill homes with consistently comfortable air month after month, season after season. For more information about heat pumps in Lebanon – Wilson County, Tennessee – including possible tax credits for an energy efficient home comfort upgrade – call the Bentley’s Air Conditioning team today.